We are a proud supplier of Daikin air conditioners in Melbourne Bayside, a manufacturer which was named Australia’s most awarded brand of air conditioning from a survey conducted by independent consumer group Canstar Blue. Single Split Systems offer a simple solution to effectively heat or cool any room in the house or office. 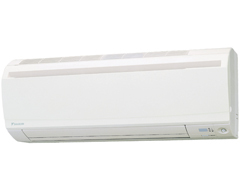 With power ranges from 2kW to 9.5kW we can recommend the right sized air conditioner for your space. 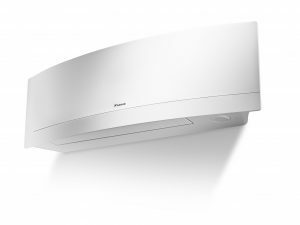 Ducted air conditioning delivers discreet climate control throughout your home, all at the touch of a button.It is a quiet and efficient operation that can be installed in nearly any new or existing home. Outside of the home the external compressor unit is fitted whilst the indoor unit is built into the roof or underneath the flooring. 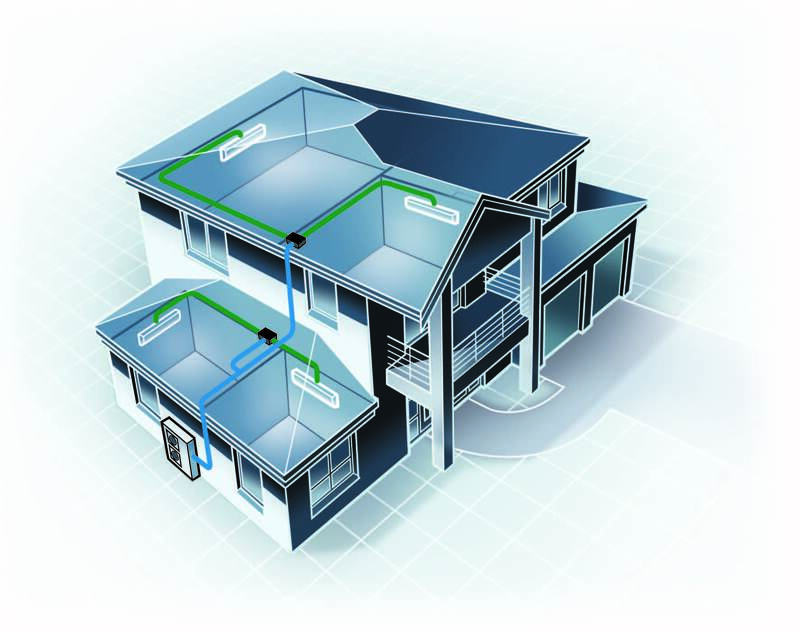 Ducted Split Systems are great option if you want to maintain an even temperature control throughout your home or business. Our specialist technicians custom design every installation, as well as tailor the type of registers the customer requires. We only use superior materials that are designed to last. An aesthetically pleasing contemporary back lit programmable LCD zone and temperature controller is very user friendly. 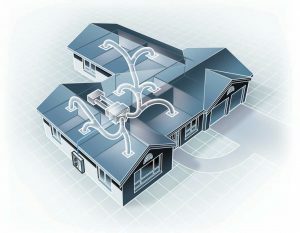 The flexible duct system then distributes cool or warm air through discreet ventilation throughout your Melbourne home or office. Multi Split Systems are a great choice if you want to air condition more than one area and need to individually control the climate of each room.It is also a great alternative to a ducted system, if roof and under floor space is limited. Several indoor units can run off a single outdoor compressor. This also is a great space saving option for apartments with limited outdoor space. 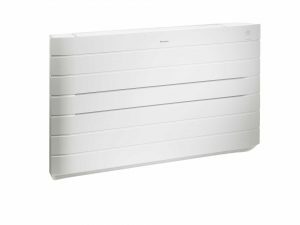 Light Commercial/Cassettes offer a seamless design option for shops, showrooms, offices and larger homes. 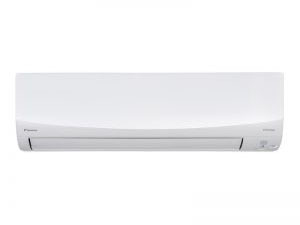 The units are also a good alternative for single wall mounted air conditioners as cassettes are build into the ceiling thus freeing up wall space. Air Purifiers are portable, and do not require professional installation, allowing you to take it room to room for your convenience. A Daikin air purifier improves the quality of your air indoors. It helps eliminate bacteria, airborne particles, allergen, pollen and unpleasant odours. Ideal for hayfever and asthma sufferers. The quality of the installation is just as important as the quality of the air conditioner you choose. We only use quality materials in all installations. The size and location of the units are carefully considered for efficient air flow and to enable you to save money on your running costs. We pride ourselves on efficient and clean work; our tradesmen always clean up after themselves and remove all packaging/boxes from the site. We do all maintenance services on Daikin Air Conditioners and we provide a priority service on all repairs to systems installed by Bayair. With our 6 YEAR warranty on quality workmanship, gives our customers the assurance that we will look after you well after the unit is installed. We also have a large portfolio of installations for homes and apartments under construction. We communicate directly with builders as well as clients. We can work from emailed plans, as well as on-site visits. 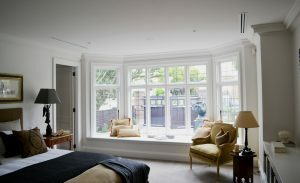 We discuss all aspects of the job thoroughly with builders to ensure that we are quoting you for exactly what you want. Bayair provided prompt, efficient and professional service. Quoting and Installation turn around times were fantastic. Service engineers were professional, clean and technically competent. The Daikin air conditioner is excellent. Highly recommended. Exceptionally professional in all aspects of installation: knowledgeable reliable advice, precise quotation; conscientious, considerate, working with smooth efficiency as a polite, tidy, well-organised team. Highest recommendation! Quick to quote & install. Our 2nd time with Bayair Electrics, would recommend them to everyone! Professional, polite and left the room cleaner than it was before they came. Definitely value for money. From first contacting Bayair to having a new split system operating in the bedroom was only 9 days. Due to a supply problem I was upgraded to a newer model than quoted at no extra cost. All neat and tidy, no mess, prompt, friendly. I have no problems recommending Bayair.